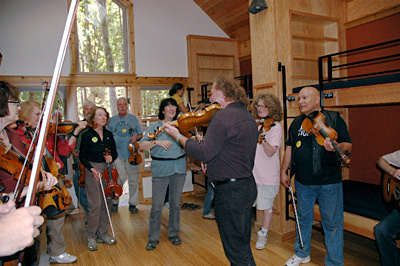 Facilities: The camp has three large common rooms with fireplaces and pianos, providing areas for large music sessions and dances. 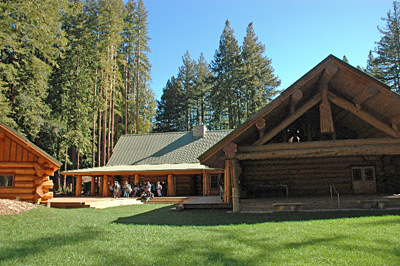 A porch surrounding the lodge, fire circles, and picnic areas among the towering redwoods provide outdoor areas that invite small, impromptu sessions. Recreational facilities include a swimming pool and forest trails. 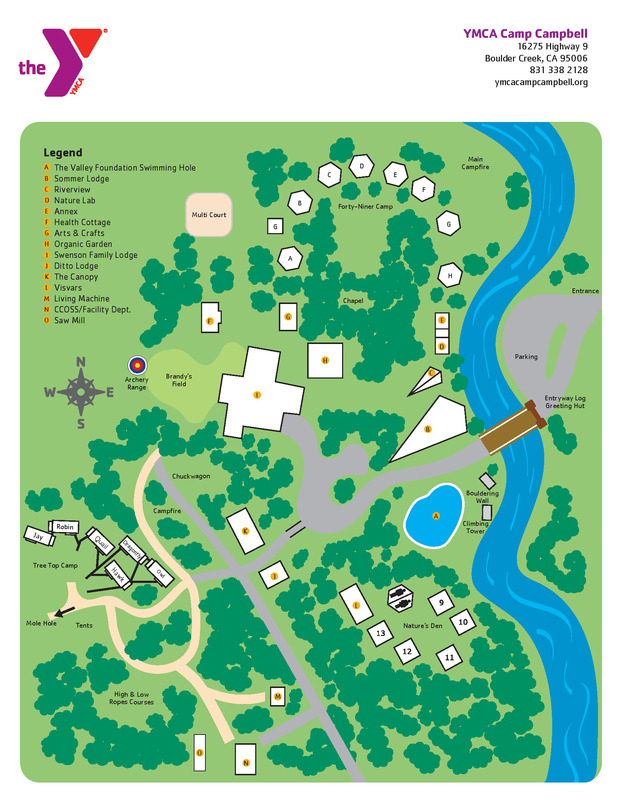 Lodging: newly refurbished cabins with heat and electricity and en-suite bathrooms are now available throughout most of the site. These cabins have 14 bunks, each with its own window. Each cabin has interior toilet and shower facilities, as well as a deck in front. 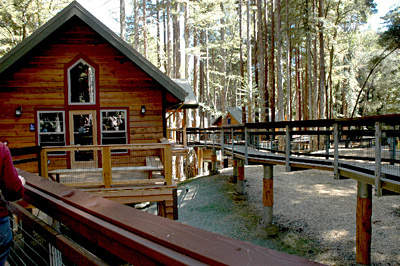 The cabins are wheelchair accessible. Older tent cabins using portable facilities are also available at a reduced rate. There is limited space for tents and RVs, but there are no hookups, and generators are not permitted. Many people choose to have a cabin assignment and sleep in a tent, while storing their belongings in the cabin. Meals are provided by the camp and served buffet style, with provision for vegetarians. All people attending camp must register in advance. Visitors and "drop-ins" are not permitted. Please don’t ask us to make exceptions.